At this time of year, the Big Bog has that end-of-year feeling. The dark-eyed juncos are back for the winter, and tick, tick, ticking in the trees. Recently, I've heard and seen a pair of Belted Kingfishers at the Planet Ice end of Davies Creek. Not too far along the creek, a Pileated Woodpecker has been feeding up for the winter. These beautiful birds eat ants and all kinds of bugs, but they also eat berries and nuts. Birds in general have a body temperature that is a couple of degrees warmer than that of mammals, so it's a good strategy to have a varied diet. Maintaining a warm-blooded system uses a lot of calories. 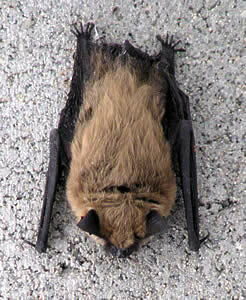 The only truly flying mammals are bats, of which there are 16 species in BC. I've never seen any in or around the bog, but I'd be surprised if there weren't any there. One reason they are 'invisible' is that they are mostly active at dusk and at dawn, some species are fully nocturnal and some are both nocturnal and crepuscular. I am not out in the bog at these times. However, if there were a significant colony near the more frequently walked parts of the DNR, I would expect to see droppings, which I haven't so far. Right now, bats, like all other creatures, including humans, are preparing for winter. Flying, like keeping blood warm, uses a lot of calories. Bats eat insects and other arthropods, and my goodness are they efficient at catching them - they have to be, I have no idea how many calories there are in the average insect, but it's certainly not like eating the fat and sugar laden foods that some of us two-legged mammals eat. The bug supply dwindles in the winter months, so some species of bats, just like birds, migrate south to warmer, more food-rich climes, others stay and hibernate. Winter can drive some of us bats, for others, it's the best time of year, but we all have different ways of over-wintering. I just consider myself lucky we humans don't have to hang upside down in some dark cave somewhere. 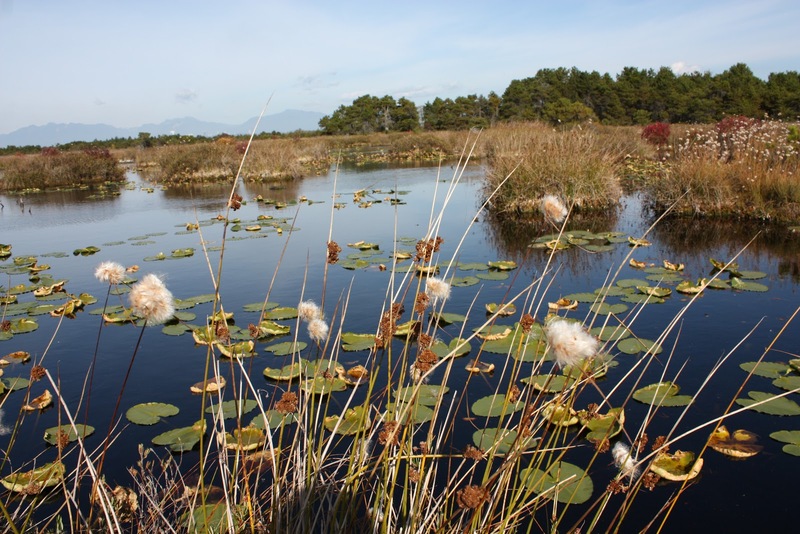 Right now, our friends across the pond in the European Union are considering what wetland drainage and rewetting means to climate change policy. It's a very complex question: you and I know that petlands are enormously important as a carbon sink, but how do you account for that? What kind of research is required, and how can this new information be used to create better land use policies? It's a question our government has entirely ignored. 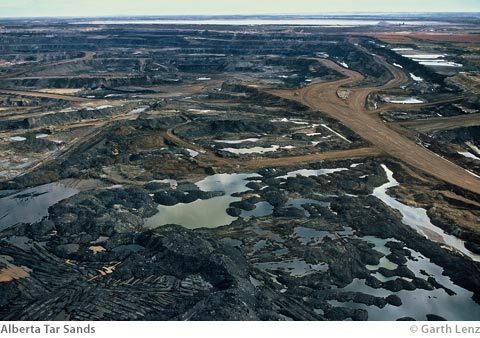 Right now in Alberta, tar sands mining projects are tearing up over 30 000 hectares of wetlands. That's 15 Burns Bogs that are being excavated and destroyed at this very moment. What's worse, and even more inexcusable, is that the industry isn't going to even attempt to replace these ruined ecosystems; instead it will be mostly turned into upland forest, reducing the total peatlands in the Athabasca region by 2/3! Imagine if we strip mined the entire Fraser Delta River Ramsar Site, replaced 2/3 of it with golf courses, and called it a day. That wouldn't qualify as "peatland restoration" and it shouldn't. This is an enormous loss of natural capital, billions of dollars of carbon sequestration potential that we are losing forever. If Canada implemented greenhouse gas accounting, companies and governments would have to consider the contributions of peatlands. Right now they can simply choose to ignore them, which lets the industry pretend it's greener than it really is. If tar sands companies were held to account for the real cost of their projects, they'd have to invest tens of billions of dollars in actually restoring the environment. Instead we let them dig up peat in one area, bury it in another, and call that restoration. That's not restoration, that's rearranging the deck chairs on the Titanic. The basic patterns we see in nature are foundational, and repeat throughout the universe. From the atomic to the galactic, these patterns repeat themselves, over and over. The chaos of ordinary living organizes itself into these patterns again and again, into infinity. 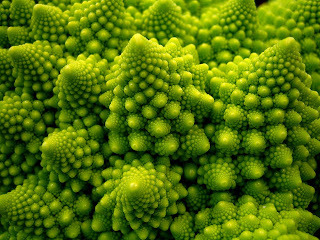 Tasty broccoli or Fibonacci sequence? Both, actually! This is an essential feature of the universe we find ourselves in. It's part of the fabric of reality which enables our very existence. We are ourselves enormously complex, chaotic, yet seemingly miraculously ordered communities of cells, bacteria, and systems, that work together so well we appear as individuals. Which is why we should pay so close attention to the little details in nature, as they can often tell us something about our own lives. Every time I'm out in the bog, I learn a little more: about myself, about others, and about the world. I see something new, and my perspective broadens. As a part of a community of billions of people, it's hard not to feel like an ant. While we do sometimes think of ourselves as rugged individuals, out to change the world, I tend to fall back to feeling like an ant in the colony. While a select few seem to be in charge and definitely like to try and tell us how we ought to live, the vast majority of us are more than happy to simply be a part of society. We take our cues as to how to behave from our family and friends. And we learn, well enough to get along with each other, for the most part. 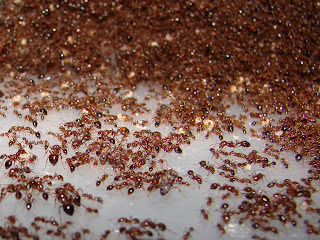 Ants are similar, and most of the time, they work together as one to survive, succeed, and raise a new generation. But not always. Sometimes, ants make mistakes. They follow the wrong cues, they get lost, and they don't know how badly they've gone astray. They never figure it out, either. They just keep on going in the wrong direction until they're all dead. The result is this: the Ant Death Spiral. I hope humans aren't quite that similar. But sometimes I wonder. As you all know, the Burns Bog Conservation Society is committed to educating everyone about the importance of peatlands. It seems that in Britain right now, they need someone to do a bit of peatlands education. Opposition has been fierce, but then opposition to the opposition has been even fiercer. Gardener and broadcaster Bob Flowerdew said that he would defy the government and carry on using peat. He then received so much mail chastising him for this stance, that he feels as though he has become an outcast, as well he might and in fact should be. Mr. Flowerdew points out that Britain will lose out to growers in the Netherlands and Italy, who have no such peat ban. My first comment is that the 'rights' of gardeners to carry on using peat when the importance of peat to human and planetary health is of overwhelming importance, are spectacularly irrelevant. Secondly, Britain is sometimes the first amongst its European partners to take a step that others then follow. Take for example the changed laws on veal production. These came into force in 1997 in Britain, at the beginning of Tony Blair's new Labour government, but the majority of work on this had been done under the outgoing Tory rule. My point here is that these progressive measures sometimes happen irrespective of the political party in power. Another example was the Equal Pay Act of 1970, which came into force under a Tory government, but was put in place and legislated by the outgoing Labour one. Both of these progressive pieces of legislation that concern rights and freedoms, were later adopted by most of Europe and in the case of the Equal Pay Act, also by North America. Let me re-state what you and I know only too well. Peat is vital to the health of the planet. It sequesters carbon, thus reducing the effect of allowing it into the atmosphere in the form of the greenhouse gas carbon dioxide. Peat is laid down slowly, at a rate of approximately a centimetre per year, so the concept of 'harvesting' is ridiculous. What is taken doesn't grow back before the next cycle. It is simply ripped out, or as environmentalists more accurately describe the process, 'mined'. 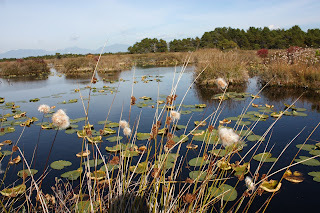 Britain has demonstrated the political will to save peatlands, and they have a road map, but what they need now is what the Burns Bog Conservation Society does day in, day out - someone who will shout loudly and clearly about why this is so important. Now if only we had a branch there!